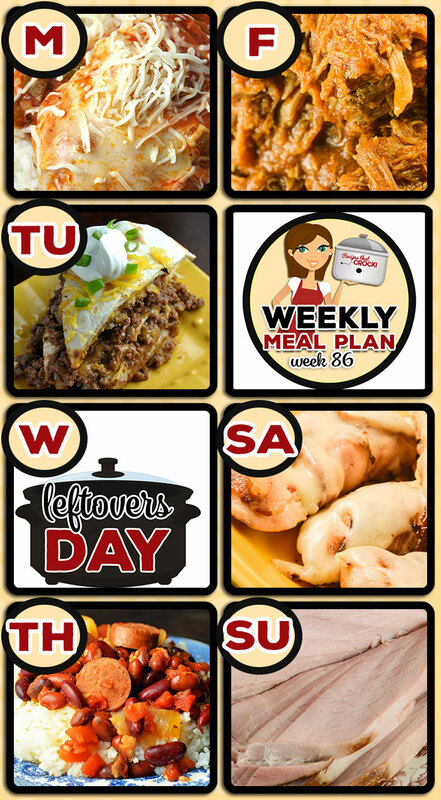 Meal Planning: Weekly Crock Pot Menu 86 - Recipes That Crock! 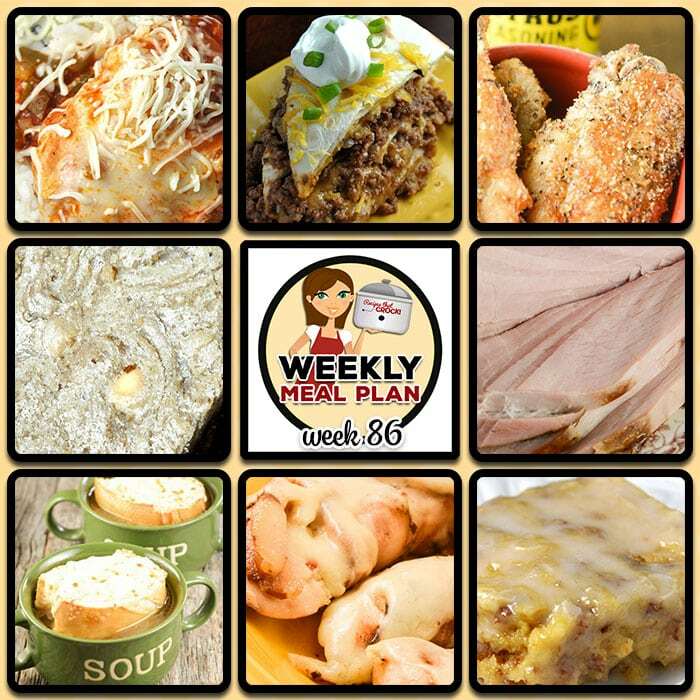 This week’s weekly menu features Crock Pot Mozzarella Chicken and Rice, Crock Pot Beefy Tostada Pie, Crock Pot French Onion Soup, Slow Cooker Red Beans and Sausage, Crock Pot Cola Pulled Pork, Crock Pot Italian Bacon Chicken Tenders, Crock Pot Low Carb Holiday Ham, Crock Pot Blondies, Crock Pot Chicken Wings – BW3 Copycat recipe and Crock Pot Glazed Breakfast Bars. I love your site and your menu’s. Since you guys are doing low carb, have you considered doing a low carb menu also? That would be AMAZING! I totally have thought of it, but we haven’t done it just quite yet… Hope to in the near future ;).